The California Press Foundation will present its 2018 Mark Twain Award for Journalism Excellence to the family of David Lamb. Lamb (1941-2016) was a longtime Los Angeles Times foreign and national correspondent who enjoyed the nomadic life, absorbed what he witnessed, made “friends not sources,” as one editor put it, and wrote masterfully — even poetically — about people and events in the Middle East, Africa and Southeast Asia, The Times’ obituary said. 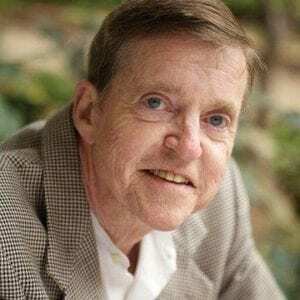 As a reporter for United Press International, Lamb followed U.S. combat troops into battle in Vietnam in the late 1960s, when fighting was especially fierce. Lamb proudly, and probably accurately, claimed credit for dubbing an otherwise anonymous killing ground “Hamburger Hill,” a name that U.S. troops adored and the Pentagon hated when it hit the headlines in 1969. Lamb later explained that he had asked a soldier from the 101st Airborne Division if troops had a name for the heavily fortified mountain they were assaulting other than what the Army called it – Hill 937. “I was hoping he would come up with a punchy, descriptive label that I could use in that day’s dispatch,” Lamb wrote. “Something like Pork Chop Hill from the Korean War. Registration is open for the 141st Annual Cal Press Winter Meeting, to be held at the Marines’ Memorial Club & Hotel in San Francisco. It begins Thursday afternoon and continues through mid-afternoon on Friday. We hope you can join us. Get details and hotel rooms. Questions? Renee Smith, 916-288-6017.